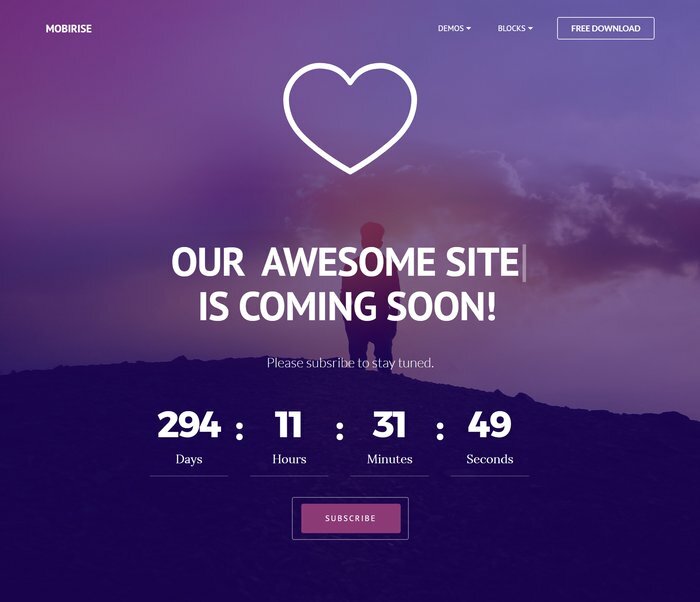 Today’s Post we have listed out 30+ Free HTML5 Coming Soon Templates, Website Under Construction with animated menu, timer, social profiles, newsletter subscription, responsive design this template has it all, based on Bootstrap for easy customization. 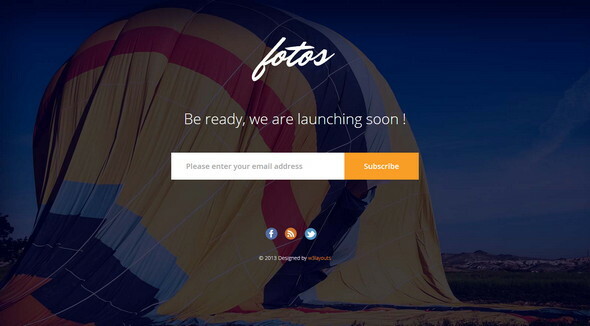 Its simple and lets you choose from variants homepage for your next coming soon page templates designs are responsive and the layouts give you the options to showcase image slideshows and even Youtube videos in the background. 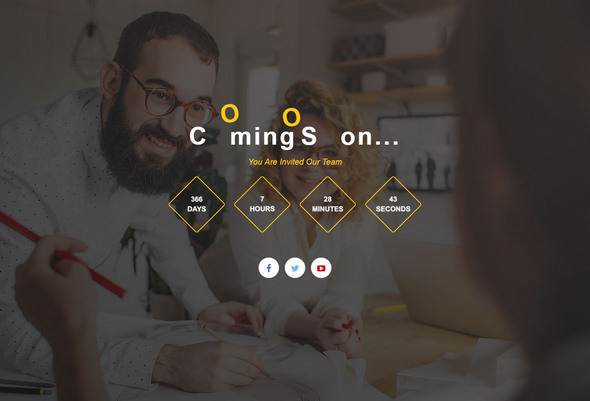 Inspiring Comming Soon html template which features multiple browser compatibility, responsive design and a cool countdown timer. 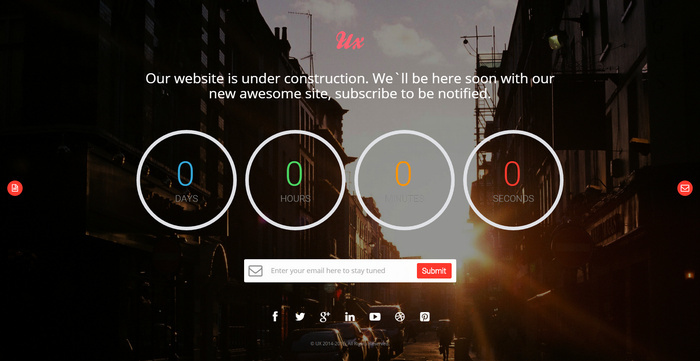 This is a neat and laconic coming soon and under construction one-page template. 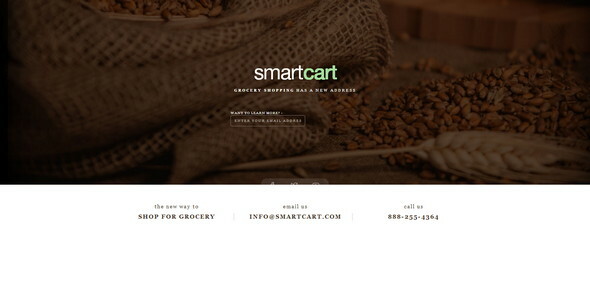 A full-screen intro element includes a counter, an animated text element and a subscribe form. 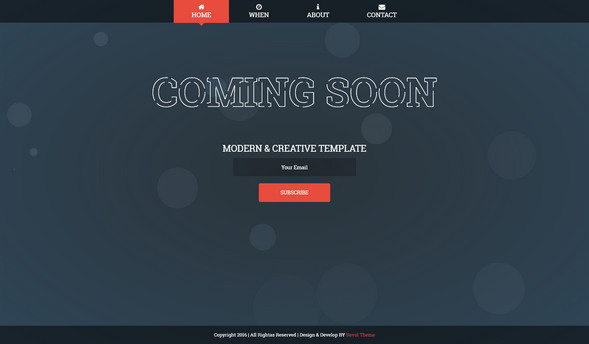 The best free coming soon template you will ever need in 2016. 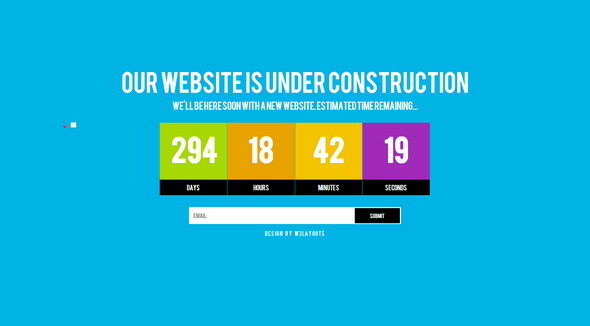 This year we have seen some cool designs for under construction pages but this one is a special. 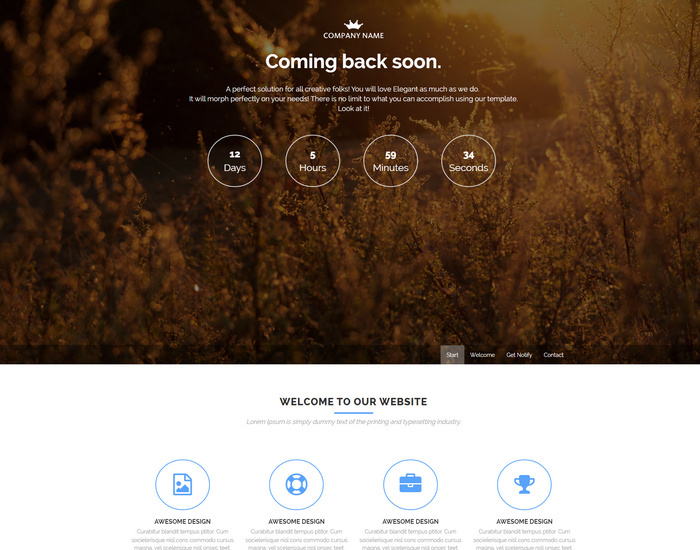 A bootstrap ready html5 template released in 2016 for your future endeavours in theme redesign. Hook up this template at the start of a certain project giving the client, visitors a feel to what they can expect in near future from you. 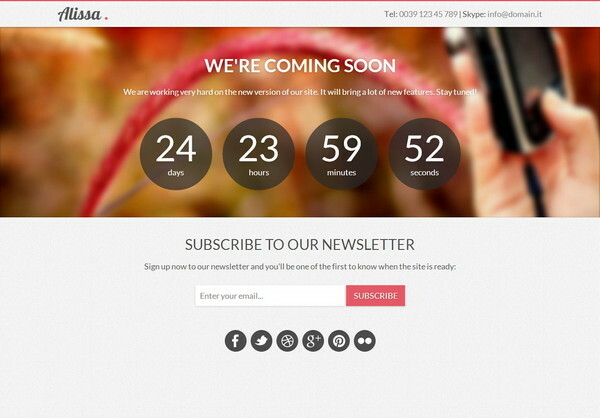 A beautiful animated menu, timer, social profiles, newsletter subscription, responsive design this template has it all. Download and use if for any purpose you can think of as it is based on Bootstrap for easy customization. A weird naming convention but it does its job pretty good. It presents you with a colorful well synchronzied schemes and multiple layouts. 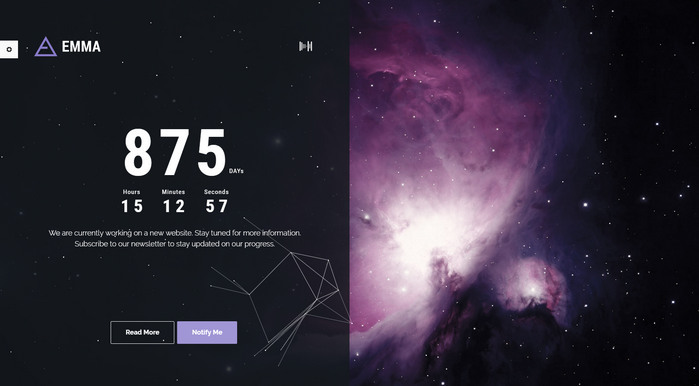 Ux is a brilliant html coming soon template with a countdown timer integrated which can be used on your website whenever you have a new theme design, a scheduled maintenance or anything, as you dont want to keep the customers guessing. 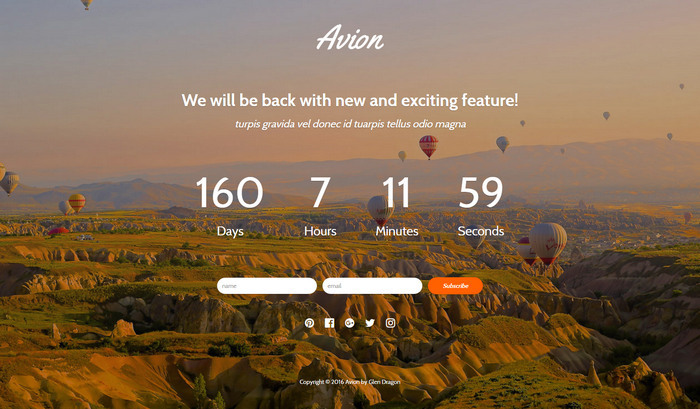 Avion is a simple coming soon page on top of bootstrap framework with responsive design. 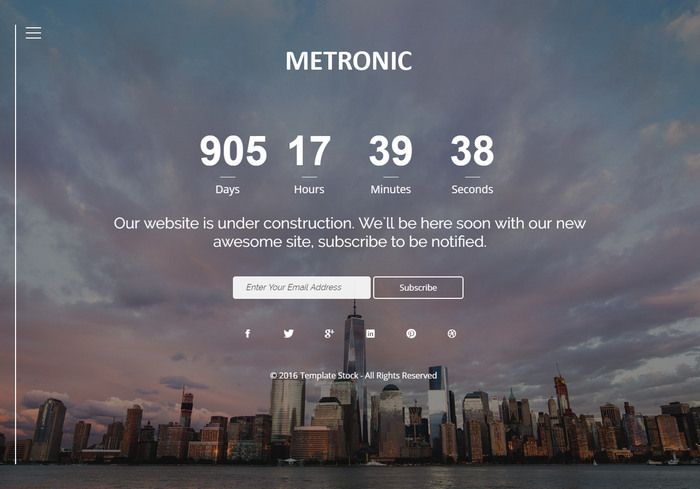 Adding features like social profiles, newsletter subscription, countdown timers are possible in this free html ready template. 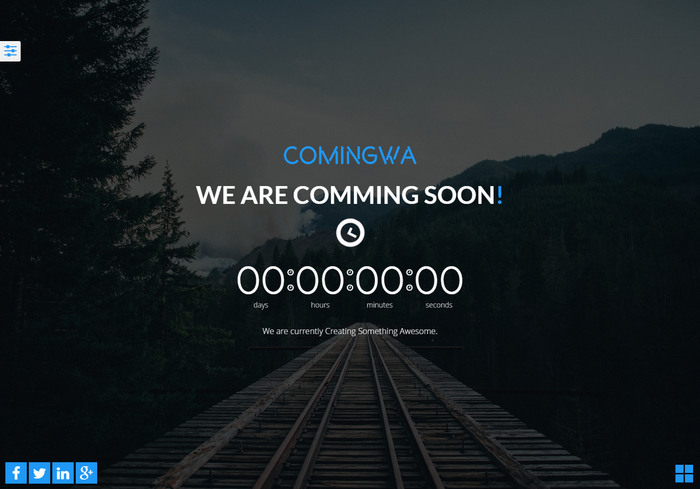 A simple dark template in html5 with a jquery countdown timer to get your coming soon page ready for any catastrophes or say new theme plans. Pixicon lets you choose from three homepage variants for your next coming soon page template. 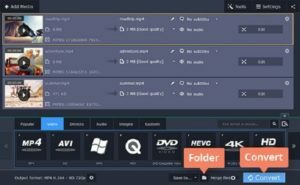 The designs are responsive and the layouts give you the options to showcase image slideshows and even Youtube videos in the background. 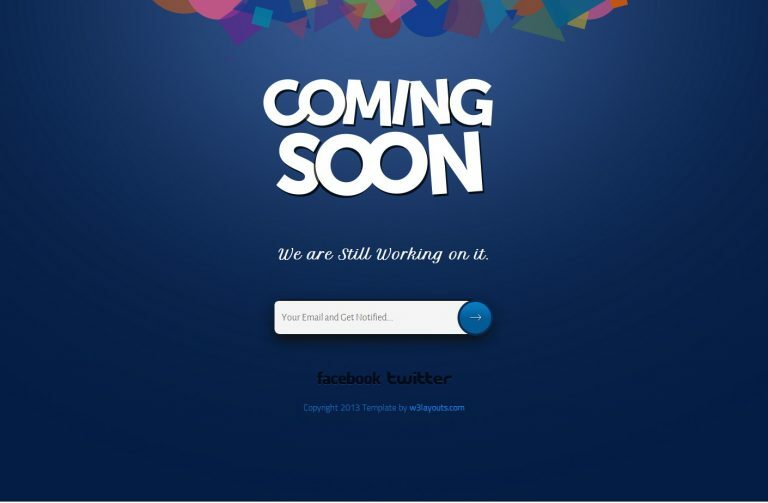 Download the free coming soon page with full page options like about, services, contact. You can get users to subscribe to your email campaign as a part of the updating process. 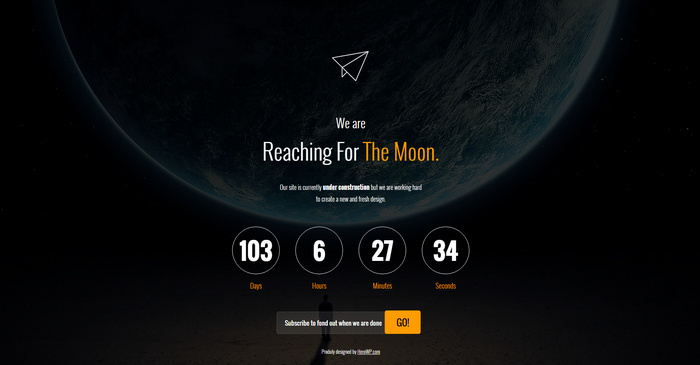 2AM is a bootstrap template with not just a coming soon page but a full onepage sections for subscribing to know the launch status of your app, website and a contact us section. 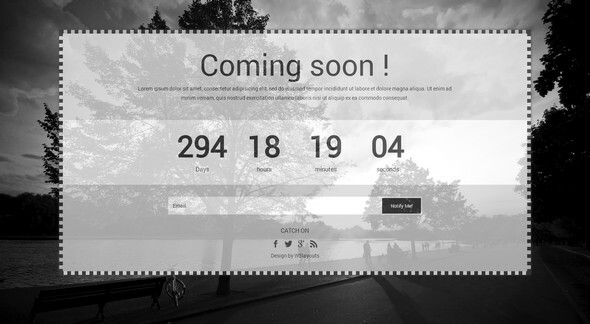 A email subscription, social page, large heading can be added with the help of this template to display a beautiful coming soon page. 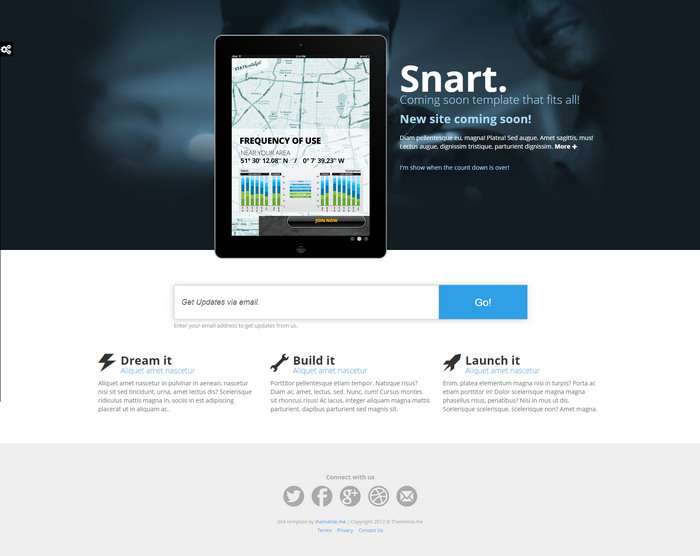 The theme is responsive and will look great on all devices. 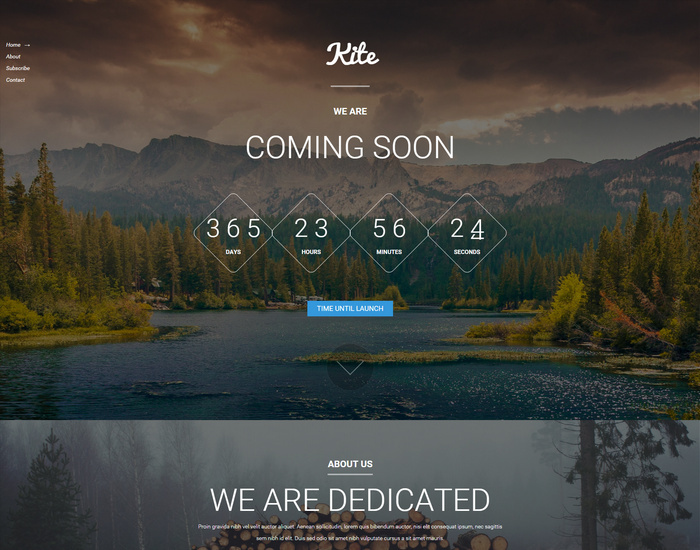 Kite is a good looking and inspiring html template which features multiple browser compatibility, responsive design and a cool countdown timer. 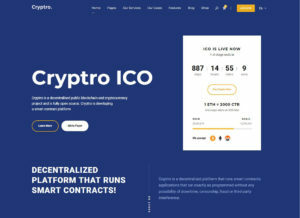 A simple coming soon page with email call to action button to keep users hooked and to notify them once the new design is complete. 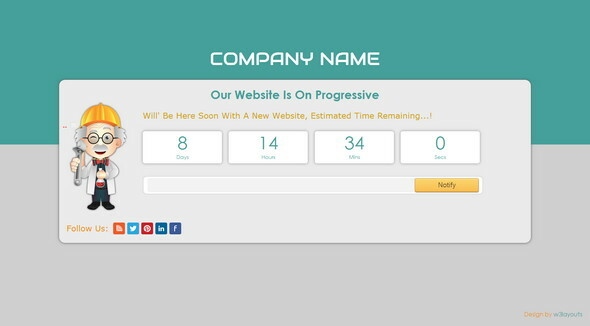 Almost similar to the above template we introduced this template however is just a page with a countdown timer. You can link to your social pages as shown in the demo. Alissa comes with images slideshow, countdown timer, minimal and light design, AJAX email subscription form with form validation, and social icons. Take a look at the live demo and download it from the links below. 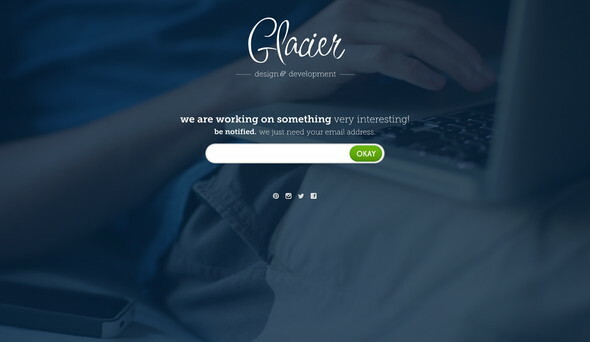 A template with a simple email notification option at the bottom to inform user of your next project website. 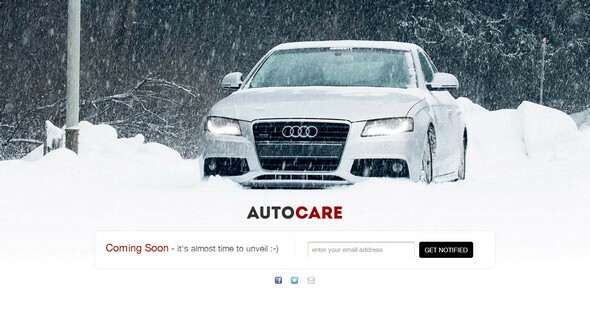 Use it to showcase any new updates, regular maintenance messages and more. 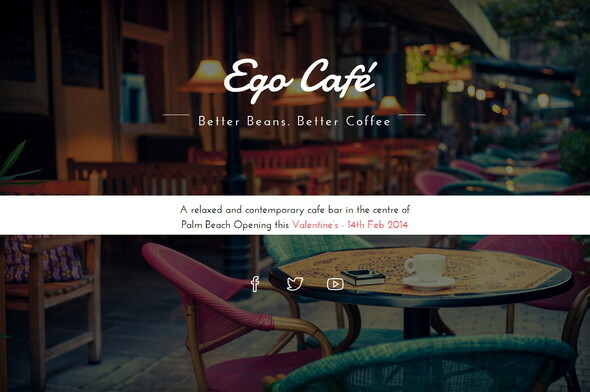 A cafe page with opening date status will keep users hooked. 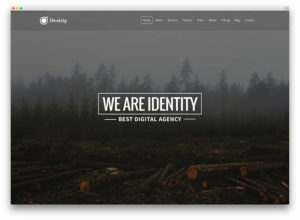 The fullscreen design of this template is pretty sweet and you will love it too. 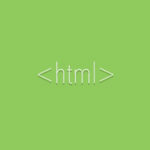 Date, location are added manually by editing the html template. We are providing Grand web and mobile template for free. This template design as pure html and responsive css and we used jquery timer for time representation. This template will provide you with options to setup a initial website before you move onto the serious work. 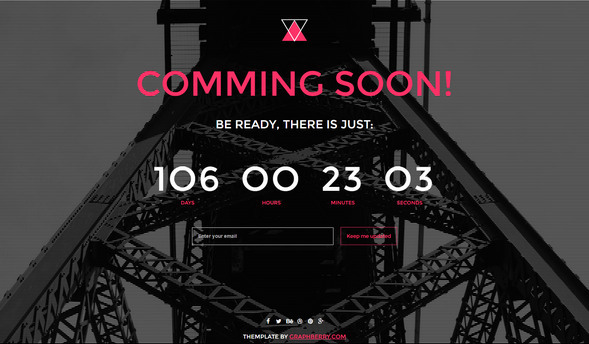 Download and use this free html template for your new website. This is a free web and mobile ready template which is responsive and uses clean html, css standards. Make you visitors subscribe yo your email campaign as well. 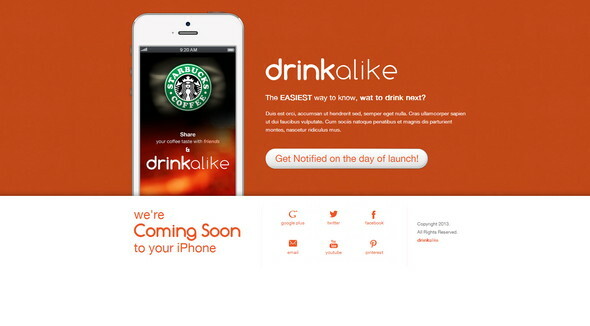 Soon is a Responsive Design compatible in all browsers and mobiles, Tablet pc’s. A professor with a working tool to showcase your upcoming theme at work. A free Dark web mobile template with a email notification form for the interested visitors. A simple yet efficient way to design under construction page is by using this free construct template. 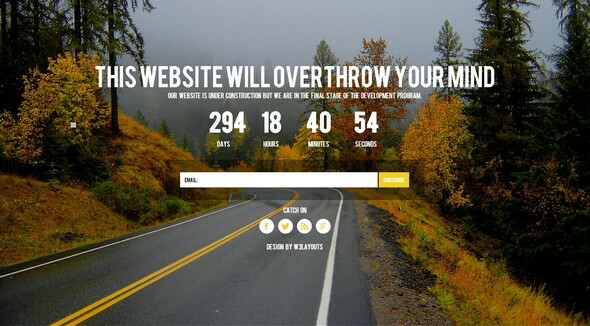 A tech website construction page for modern day websites. The color can be customised with a little css styling. 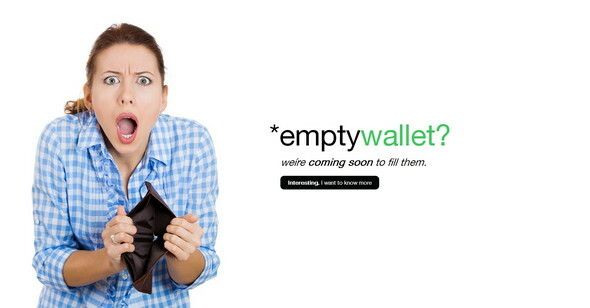 A maintenance page for a shopping website or to showcase upcoming theme updates. 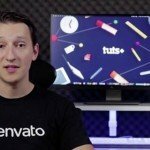 Build a new automotive website ? 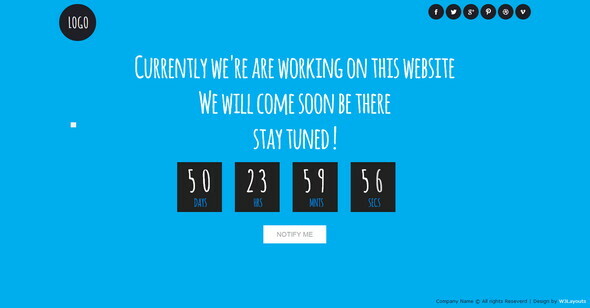 Hint the same to your visitors with this clean coming soon page template which is free. Using a mailchimp subscription form and a brilliant design, this html5/ css3 template gives you a super smooth and carefree website to add to your collection. This is a very interesting template for those who can use it. It is free to download in html format. 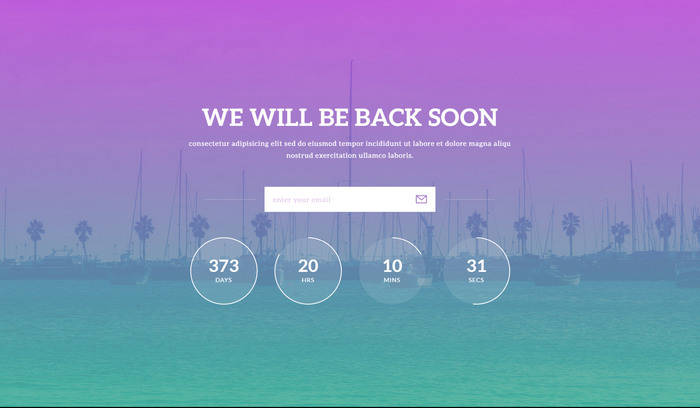 This template has a catchy background image to showcase a maintenance website. 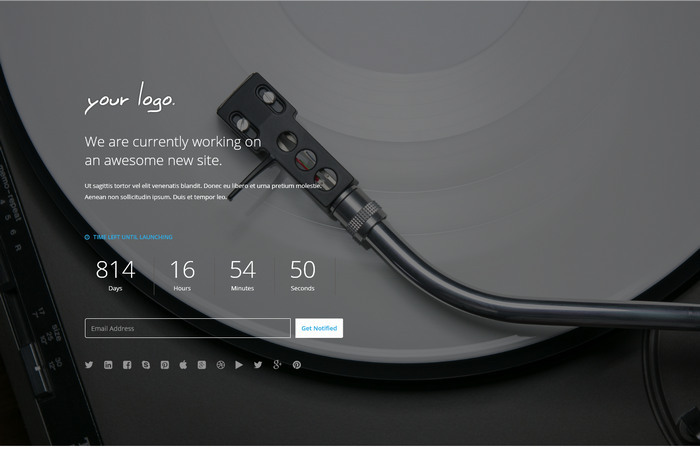 The countdown timer, subscriptions, social profiles are all included for a creating coming soon design. 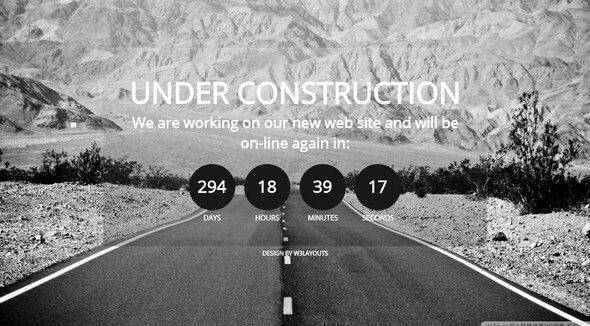 Like to show a website under construction or a temporary maintenance page with style? Look no further, Emma is a responsive HTML5 website template designed for modern desktops and smartphones. What all can be done using a photo editor?